Pictures from our Harvest Service and the rain-free BBQ that were held to start our 25 year celebrations can be seen here and on our Facebook site! 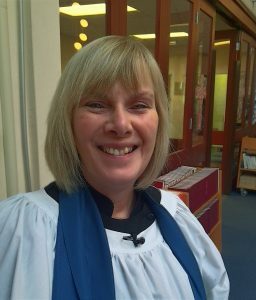 Reading between the lines, you will realise that our “Church” is a bit older than that and it was opportune that one of our former Lay Assistants, Elaine Steere led the service on Sunday 5th. August 2018 and with the aid of a poem by Godfrey Rust, reminded us that “Church is a Verb”. The noun, or in our case the building, came later! So to coincide with these celebrations, a short history, gleaned from the writings of Haigh, John (and Jamie), Roland, Elaine, The Spire and other sources plus a few audio memories of voices from the past. I was appointed to the parish of Bear Wood (as it was then called) in 1983. My predecessor there had suffered a nervous breakdown after only about 6 weeks in office. His predecessor, the Rev’d James Brooksbank Moore, had to spend much of his final years at Bear Wood looking after his sick wife who needed a lot of care. When she died, his health also declined. 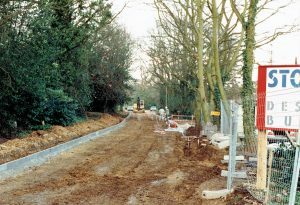 At the same time, the Woosehill development was being built section by section. Neither of my predecessors were able to give much time to providing pastoral care there, so the neighbouring parish of St. Paul’s, which had several clergy, tried to fill the gap. They bought 6 Jutland Close on Woosehill. The Rev’d George Fryer went to live there and started to have house groups there. A bit later he began to take services at Hawthorns School on, I think, alternate Sundays. I knew George quite well because he had been a non-stipendiary Minister and Superintendent of the Sunday school at Wallingford-on-Thames when I was curate there. I commenced taking services at St. Catherine’s, Bear Wood in September 1983. On 25th September of that year George Fryer invited me to attend the first half of a 10am service at Hawthorns School. My diary says “Only one family, but a friendly one”! It also says that I “got lost in the estate” whilst hurrying back to St. Catherine’s to take the next service there but still managed to take it. So by that time I had a pretty good idea of what worship at Hawthorns School was like. In 1984 it became apparent that all the salaried clergy at St. Paul’s were leaving. The Anglican authorities therefore thought it best that, since Woosehill was then in Bear Wood parish, I should take over from George Fryer when he moved on to another parish. From my diary it looks as if the first service I took at Hawthorns School was Holy Communion at 10am on 27th May 1984, and the second a Family Service on 10th June. On 14th August, at my Rectory in Sindlesham, we had a Woosehill church meeting planning for the future there. 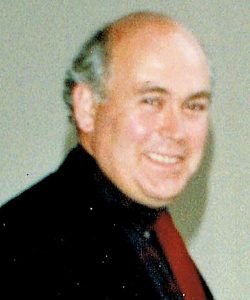 A new Rector was inducted and instituted at St. Paul’s on 4th September 1984 – the Rev’d Peter Rapsey. On 10th September, he and I discussed limited boundary changes between the two parishes of St. Catherine’s and St. Paul’s. In those days boundaries could be critical in deciding where couples could be married or where the deceased could be buried, as well as the division of pastoral care. Peter wanted all roads which had access to Barkham Road to be in St. Paul’s parish and the rest of Woosehill to be in St. Catherine’s Bear Wood. I agreed that that was a sensible proposal. I approached the Rev’d Robert McBain, minister at Rose Street Methodist Church and suggested a shared ministry at Woosehill. He was enthusiastic and came to see me on Friday 14th September 1984. We wanted it to be a real sharing, much more than merely having Anglican or Methodist services on alternate Sundays so that every Sunday was covered. On 9th October 1984 members of Woosehill Church met at the Rectory for a ‘Planning for the future of the church in Woosehill’ meeting. Of course all the while we were praying that God would guide all our plans so that they would be to His glory and reveal the right way ahead. 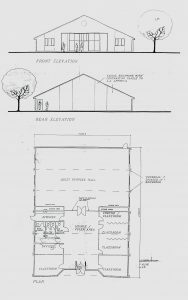 On 11th December 1984 representatives of the Woosehill Community Church, Rose Street Methodist Church and St. Catherine’s Bear Wood resolved “to seek to develop a Local Ecumenical Project on Woosehill ………. to enable Christians to worship, witness and share fellowship together, to the furtherance of Christ’s kingdom”. On Wednesday January 21st 1987 at 8pm the Bishop of Reading and the chairman of the Methodist District led worship at the Service of Inauguration of the Local Ecumenical Project, the first such service in Berkshire. 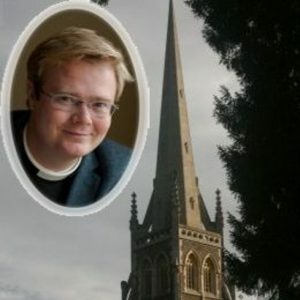 Later in the year, on 25th November 1987, the first ever Ecumenical Confirmation in Berkshire took place at St. Catherine’s, when eleven candidates were confirmed by Bishop Graham Foley and the Rev’d Lawrence Ashman and thereby became members of both the Anglican and Methodist churches. The Woosehill candidates were Colin Graidage, John Hoskins, Thea Oakley, Ann Turner and Marion Warwick. With God’s blessing the church grew. It was helped by a succession of Readers/Lay Ministers :- Jim Horsnell, Dr John Alder and Elaine Steere. House groups welcomed new members to the church. Many people volunteered their help or expertise to the new born church, supplying Sunday Club and Boys Brigade leaders and much else. It was encouraging to see it grow. When I moved on to Woosehill in 1981 it comprised a dual carriageway, the only way by car in and the only way out, rolling meadows, a brand new school and a few streets of houses echoing with the sounds of mechanical diggers and cement mixers. Just a decade later, this “village”, a mile to the southwest of Wokingham town centre off the main Reading Road, houses some 8,000 people on a variety of estates developed mainly by private sector builders. 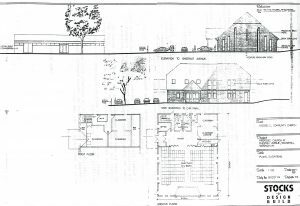 It’s limited facilities include the school, a large supermarket, a hairdressers, a video shop, community hall, doctor’s surgery, playgroup, Scout head-quarters and, now, a church building. 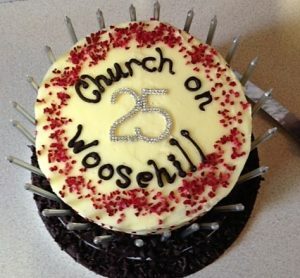 The Church, unlike the church building, has, however, been on Woosehill since the very earliest days. In 1981 the then Wokingham Council, of Churches held a meeting at the school to gauge the feelings of all interested parties as to the formation of a recognisable Christian presence in the area. Whilst the feeling of the meeting was that people would prefer to join existing Churches in the town and not to develop a new congregation, nearby St. Paul’s Church had the foresight to buy a house on the development and to begin, held house groups and occasional services in the school. With the benefit of hindsight, this initiative by St. Paul’s was certainly the way forward albeit lacking an ecumenical dimension at that stage. For a number of reasons, however, changes took place at St. Paul’s and the house was sold in 1984. Despite this setback a dedicated group of worshippers continued to meet calling themselves “The Woosehill Community Church”. During that year it was recognised that the greater part of Woosehill was not, in fact, in the Parish of St. Paul’s but in the neighbouring St. Catherine’s, Bearwood. The new incumbent there, the Rev. Haigh. Etches, invited the Rev. 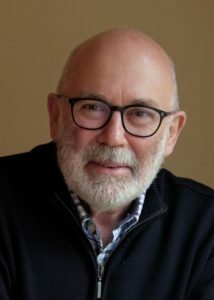 Robert McBain, the Methodist Minister in Wokingham and until 1981 team minister in an Anglican/Methodist church in Nottingham, to consider together how best the growing Woosehill population could be served. We as representatives of Woosehill Community Church, Rose Street Methodist Church and St. Catherine’s. 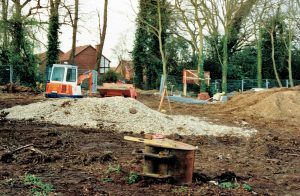 Bearwood, resolve to seek to develop an Ecumenical Project on the Woosehill Development to enable Christians to worship, witness and share fellowship together to the furtherance of Christ’s Kingdom. And we ask our respective Church Authorities to take the necessary steps to establish the same’. 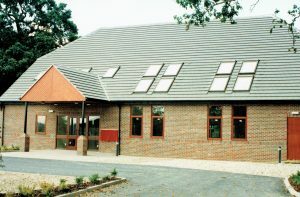 Despite the acknowledged support of the Church Authorities, however, it was not until 21st January, 1987, that all the formalities could be resolved and an official Inauguration Service was held in the Hawthorns’ School hall, led by the Bishop of Reading and the Chairman of the Methodist Southampton District. 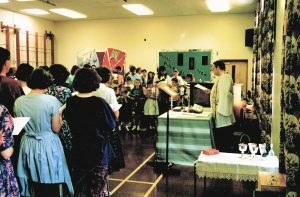 In the meantime, and commencing on the first Sunday in January 1985, a regular Sunday morning Service together with a Sunday Club for the children was launched with responsibility shared between the Anglican and Methodist traditions. 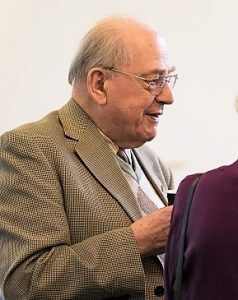 For the congregation the link between the two traditions was the appointment of a Lay Pastoral Assistant, initially Jim Horsnell, a Methodist from Wokingham, succeeded in 1988 by Dr. John Alder who joined us from All Saints in Wokingham and who served until his death in 1992. The Ecumenical Project has always functioned as a fully integrated Church with one Church Council, one common fund and, above all one Congregation. We hope that this oneness has also encouraged links between our parent Churches and it did lead to our first Joint Confirmation Service at St. Catherine’s, Bearwood, on 25th November, 1987, in fact, the first such Service in Berkshire. Our declared purpose as a Church is as follows:- “We see our purpose at Woosehill Community Church to be a family of people committed to Christ and to each other, who together worship God with joy and love, and seek to be guided and empowered by the Holy Spirit. We hope to know and to care for each other, to support and encourage each other in a Christian lifestyle. We see it as our task to apply our Christian Faith and moral values to every aspect of our lives as individuals and in our family, working and Community life. We want to bring others to share our Christian life and help them to a personal experience of Christ and their own commitment to Him”. Soon after the Inauguration Service it was clear that membership was growing rapidly. 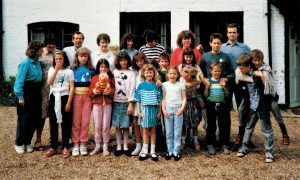 Despite excellent relations with the School, there were acknowledged limitations as to its use and in May, 1987, a full meeting of the Church decided to investigate the possibility of premises of its own in order to provide a base for its work in the community. A very helpful meeting with the Secretary to Wokingham District Council led to the identification of a suitable site close to our existing place of worship and investigations and negotiations commenced. 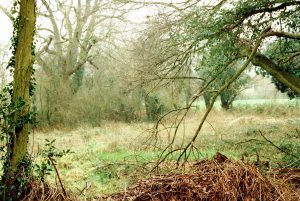 Negotiations with both the owners of the Site, Berkshire County Council, and the Planning Department, were extremely protracted, but Planning Consent was eventually obtained and in early 1993 a lease of the site for 990 years was signed. At the same time the area served by the Community Church was created a Conventional Anglican District, freeing St. Catherine’s Church Council from some of its legal and potential financial responsibilities and allowing, in Anglican terms, the Woosehill Church Council to act in its own right. During the same period, very tortuous negotiations were taking place with and between ecclesiastical Solicitors over the matter of the formal sharing of the new building. 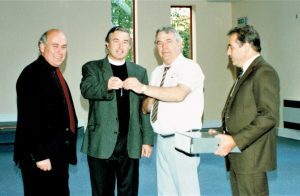 With the completion of the lease of the land and the eventual signing of a formal Sharing Agreement under the Sharing of Churches Act, 1969, we were in a position in February, 1993, to sign the building Contract with Stocks Bros. (Builders) Ltd. Stocks, who specialise in Design and Build contracts for Churches (and car showrooms!) had worked patiently with us, without payment, since June, 1989. On 24th September, 1993 the completed building was handed over to us at slightly less than the budget figure. The total cost, with furnishings, was just over £300,000 and we are indebted to the Methodist Circuit, to the Oxford Diocesan Board of Finance and to the Rank Trust for their very substantial financial help as well as for the funds freely given by our friends and our own members. 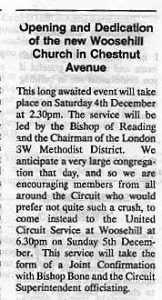 On 4th December, 1993, the first Service, our Dedication Service, was held, led again by the Bishop of Reading and the Chairman of our current Methodist District, (albeit with different people in those roles). It was an emotional occasion. Not just because of a project finished, but also because of a project just beginning. Roland Hardyman writes with the aid of his Diary: On Dec 5th 1982 we heard of a local Church group meeting at Hawthorns school (I cannot say how we heard about it, but we went along – no one turned up so I guess we got the wrong date!). We tried again on Jan 9th 1983 when we heard there was a fortnightly meeting and went a few times off and on through the year until the Christingle service on Dec 11th after which we decided we would become regulars, but it wasn’t ’till March 11th 1984 that we fully committed to this when it was decided to start a Sunday Club. During 1984 there were fortnightly services at Hawthorn’s School and meetings for ‘fellowship hour’ in houses when not at the school. The first Sunday club planning meeting was Tuesday 1st May ( I wrote ‘good / friendly / exciting new venture!’) and Sunday May 8th was the first Sunday Club session – 2 turned up in the 8+ bracket! The first AGM we attended was Aug 14th (but there may have been one the previous year). On Oct 7th there was the first Joint service with Baptists in Sindlesham. By Nov 25th there were discussions on whether to meet with Methodists to discuss possibility for a joint Anglican/Methodist Ecumenical Project – the planning meeting with them took place on Tuesday 11th Dec. At that point we were still using St Catherine’s House on Woosehill (see the article by Rev’d Peter Rapsey below), for example, the Sunday Club on some Sundays. 1985: On Feb 1st, there was the first LEP meeting at Rev Haigh Etches’ house. The Methodist minister was Rev Robert Mc Bain. Feb 14th saw Haigh’s Induction service at St Catherine’s and on March 31st – Palm Sunday – was the first parade through the woods from Hawthorn’s to Bearwood using a pony masquerading as a donkey, and with trips up St Catherine’s tower after a service there (this became an annual and much loved event). John Hoskins writes: The “donkey” was Paula Seddon’s or her husband’s and we couldn’t take it all the way as we couldn’t get it over the stile! No longer there – the stile that is, not the donkey. April 18th and the first council meeting as an LEP, July 27th – First Barn Dance and on September 18th, Jim Horsnell’s, (from Rose street Methodist Church) Induction service (lay reader), October 6th and we had the 1st Harvest lunch (80 turned up!). 1987: Memorable this year, in June the first (and last!) cricket match with Methodists (we was robbed…well, thrashed really) and September saw the first Safari lunch. 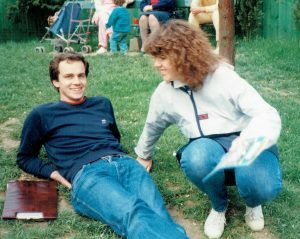 1988: Watch youth group started (Woosehill’s Almost Teenage Church) and by May 6th the first youth weekend away at Dorney Reach. July 3rd – First Church BBQ (in the rain! – some things never change – Ed.) and on July 10th the first (and last) church tennis afternoon. 1989: On May 13th, Peter Nichols commissioning service (home grown lay reader, and one of the founder members, I think). 1991: The Church picnic at Wellington country Park and the first Church car treasure hunt /rally; Friday evening Badminton group started. 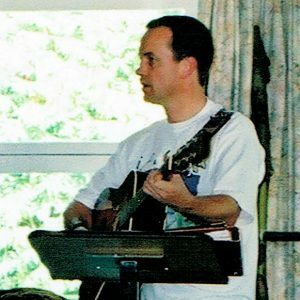 1992: Match (Middle Aged Teenage Church) groups formed to accommodate older youth, and the first Auction of promises & strawberries & wine evening (raised £756 for building fund!) whilst a Woosehill team took part in a treasure hunt/night hike. Roland playing “Those Were the Days”? 1993: Jan 29th and Woosehill Church celebrated Burns night, complete with Bagpipes! Bookstall started, 1st variety show and on September 5th, the Stone Laying Ceremony for new Church building. Sept 11th saw the first vandalism of the Church (lime thrown at it! ), but by Nov 28th the last service in the school hall was held, closely followed on Dec 5th – the First Service in the New Church! On Dec 24th we held the first crib service in new church (I wrote ‘only expecting a few, but 295 turned up!’). It’s just about impossible to say which memories stand out most of the 25 years since we built the church. Sometimes it is just the tiny details which stay with you, rather than the big occasions. Crib services when Gav’s trombone was more lit up than the Christmas tree, the naughty shepherds were getting away with a bit of lamb abuse behind the Holy Family, the angels looked real, and the kings were waiting by the door of the Gents ready for their Big Entrance. That beautiful simplicity when the hubbub suddenly quietened into sweet high voices singing Away in a Manger, and the jolly feeling at the end when we said goodbye to all the smiling faces, counted lots of lovely donations for our children’s’ charities, and looked forward to a glass of fizz at home. Alpha courses when I arrived at church in the evening tired from the day and a bit nervous, and was soothed by Amy’s calm voice as we prepared the coffee and cakes and waited for our group to arrive. The joy of seeing people share, discover, and grow in their faith; the peace which flowed between us as we prayed together at the close. Confirmation classes which were often noisy but always exciting, and the confirmation services, especially when Bishop John (a saint in the making) stretched out his hands and drew our treasured candidates into full membership of the church. The very special time during our Interregnum when I presented our candidates at a joint confirmation in Reading Minster, feeling humble and proud as I watched their faces glow in the candle light and praised the Lord for our incredible journey together. Laughter and cake (thanks, Lynne!) at Staff and Stewards’ meetings. Gathering in church on the evening of 11th September 2001 because there was nowhere else we all wanted to be but together, praying for the peace of the world and the safety of our children. Watching our wonderful teen helpers keep the Holiday Club children spellbound as they acted out the dramas I had written, and hearing my lines come alive as they delivered them. Seeing shy children gradually gain confidence as the club went on and eventually join in with the fun and games. Wondering what all the noise was at the end of a Pram Service one day, and discovering that it was Peggy Turner (who helping with squash and biscuits) and Luke (aged 2 and cute as a button) playing a game where he ran up the kitchen and fell into her arms for a hug. 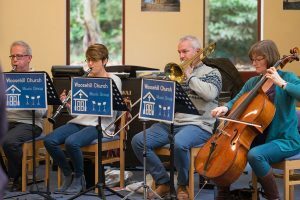 Just about every time the Music Group played for us, but particularly the days they taught us “In Christ Alone” and “Let us build a house”. Knowing that at the lowest point of my life, when my Dad was dying, there were so many people praying for me; and that when I went to church I wouldn’t have to talk about the misery I could barely cope with, but I would be passed from hug to hug. 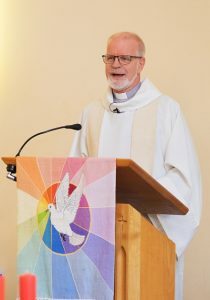 A Note from Rev’d Peter Rapsey – Visiting Speaker at St. Paul’s on 18th May 2014 – on his time there. We arrived at the rectory in August 1984 with some trepidation! Having enjoyed rural ministry (a total population of 1,300) I was conscious that St Paul’s (then 15,000+) would be very different. In addition, the parish was previously served by three full-time priests, and now for the time being there was only me. But – I have to say that I have rarely enjoyed, before or since, such a feeling that ‘we’re all in this together’; there was enormous welcome from all the congregations, young and older, and we (the whole family) made some lasting friends. Together we tackled several things at once. First, finance – we had paid hardly any parish share for two years. 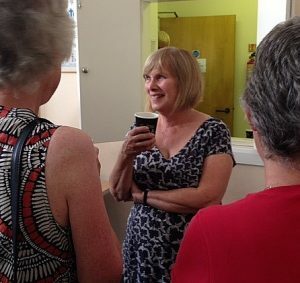 There was enthusiastic support from many people who organised and visited the congregation, income dramatically improved, and there was a corresponding improvement in congregational morale and self-respect. Next, a house for a curate; my predecessors had annexed the new Woosehill development from Bearwood, but the new rector of Bearwood wanted (rightly) to serve the area himself: we needed a clergy house in Emmbrook instead. We sold Jutland Close (by private sale to save fees), bought the house in Brook Close, and money left over paid for the re-wiring and the do-it-yourself decoration of St Paul’s! 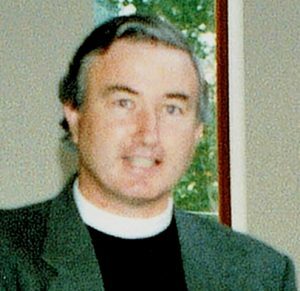 We welcomed Rev’d Roy Holmes’ ordination in 1986; that year Rev’d Paul Arnold also joined the staff, being replaced by Rev’d Paul Chaplin 1990; and Rev’d David Jasper as NSM soon afterwards. Taken from an edition of St. Pauls magazine “The Spire”. A CONGREGATION of more than 300 gathered for the inauguration of the new community church at Woosehill when it finally threw open its doors to worshippers on Sunday. The dedication ceremony at the building in Chestnut Avenue was the result of years of negotiations between planners and church authorities. Christian parishioners will now have their own permanent base following years of finding places to worship such as houses and, latterly, at the local primary school, The Hawthorns in North Way. Other church-goers have until now chosen to attend services at the Anglican Bearwood’s St. Catherine’s and the Rose Street Methodist Church. The £310,000 bricks and mortar building took 6 months to build and will potentially serve a population of 8,000. The money was partially contributed by the Methodist and Anglican church councils. When the Woosehill housing estate was first created in the early 1980s, a meeting of church-goers decided that Christians preferred to attend existing churches in the town. But by 1985, regular Sunday services and Sunday School sessions were being held at The Hawthorns. 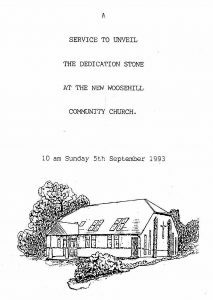 The Woosehill Community Church had been set up, all it needed was its own building. Methodist minister Robert McBain said the building was not as large as they had originally planned but it had been the best they could negotiate on the land available. He said: “I’m delighted that we now have a church base. We have a fine new set of premises which will enable us to do lots more things that we haven’t been able to do at the school”. Mr McBain and Haigh Etches will be holding regular services at the church. Family services, early morning communion and evening services will all be regular features. The three community rooms will be in constant use with Sunday School classes, boy’s brigades and crèches. At the opening ceremony on Saturday, the key was turned by Louisa Warren, the church’s oldest member, and the dedication was conducted by the Bishop of Reading, John Bone. Amongst the congregation were members of the Woosehill church who had since moved away and even one family who flew in especially from Germany. Woosehill is a large housing estate, consisting mainly of privately owned houses. It is situated directly north west of Wokingham just off the Reading Road. Building commenced in 1980. Various building companies developed their own little estates on the development during the time that the building took place. At the present time the number of people stands at 8,000. 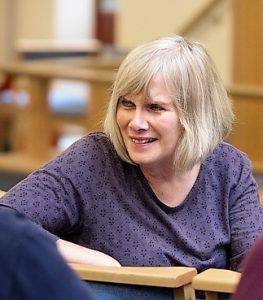 When the school opened in 1981, the then Wokingham council of Churches, now Churches together in Wokingham, held a meeting of all interested people about forming a recognisable Christian group on the estate. The overwhelming amount said they would rather continue going to churches in and around Wokingham and not start a new congregation! Nevertheless, the Anglican church of St. Paul’s soon after bought a house on the development and started holding house groups and occasional meeting in the school. The house was in Jutland Close. Early in 1984 the entire ministerial staff left St. Pauls and the house had to be sold but the small group continued meeting in one another’s houses and called themselves “Woosehill Community Church”. It was later found out that most of Woosehill was in St. Catherine’s Bearwood parish not St. Paul’s. The new Rev. at Bearwood was Rev. Haigh Etches, he invited Rev. 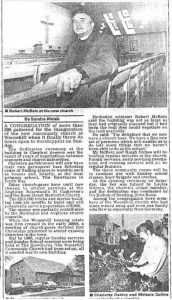 Robert G McBain the Methodist minister at Rose Street who had been the minister at then Ecumenical Project or experiment as they were called in Nottingham, to consider how the growing community could be served.At a meeting in the school on the 11th December 1984 reps of the Woosehill Worshippers, Wokingham Methodist Church and St. Catherine Bearwood came to a unanimous decision to seek to develop Ecumenical project to enable Christians to worship, witness and share fellowship together to the advance of Christ’s Kingdom and also asked their respective churches to do the necessary procedures. Starting on the first Sunday in January 1985 a regular Sunday Service with Sunday School started in the Hawthorn’s School. Responsibility for the services was shared between the Anglican and Methodist traditions. 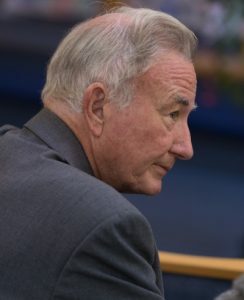 The two ministers were assisted by Mr Jim Horsnell who was appointed as Pastoral Lay Assistant (he was succeeded by Dr. John Alder who served to his death in 1992). 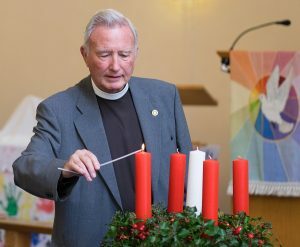 The Church authorities were most supportive but it was not until 21-1-87 that the Church was allowed to hold its Inauguration Service led by the Bishop of Reading and the Methodist Chairman of the Southampton District. The Church Council adopted the following declaration as the purpose of the Church and its life. “We see our purpose at Woosehill Community Church to be a family of people committed to Christ and to each other, who together worship God with joy and love and seek to be guided and empowered by the Holy Spirit. We hope to know and to care for each other and to support and encourage each other in a Christian lifestyle. We see our task to apply Christian Faith and moral values to every aspect of our lives as individuals and in our family, social, working and community life. We want to bring others to share our Christian life and help them to a personal experience of Christ and their own commitment to Him”. My Interview with Rev R G McBain. Was this the first Ecumenical project you were involved in? What is the history of Woosehill Church from your point of view? 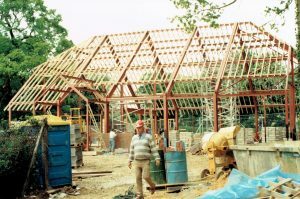 Who paid to build the Church? How long would you say you’ve been preaching at our Church? When did the Woosehill Worshipping group break away from St. Catherine’s? Who looks after the Church? Who has most control over the building? What other groups use the Church? In 1993 the Church moved to purpose built premises nearby funded jointly by the congregation and the Methodist and Anglican Churches and is the subject of a Sharing Agreement. The Church is a ‘Conventional District’ (i.e. a ‘parish within a parish’) for Anglican purposes. As such, the Church has its own churchwardens, electoral roll and church council. At the same time a Circuit Reorganisation was taking place, causing an effective hiatus on recruitment, with the new Berkshire Surrey Borders Circuit coming in to existence on 1st September 2012. 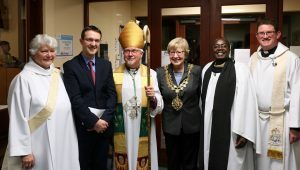 Also, in March 2012, after very lengthy consultations and discussions, a major Parish reorganisation took place with Woosehill becoming part of a new parish, alongside St Paul’s and St Nicholas, churches of very different traditions and where the previous incumbent had resigned in August 2011. It was at that time that Anglican Church offered to move to a pattern of alternating ministry with the Anglican Church taking the first stint. 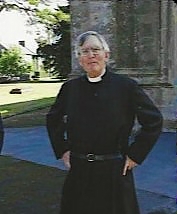 The present Rector, the Revd. 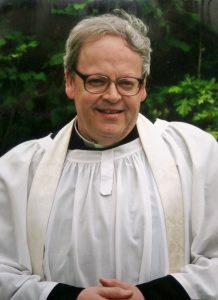 Richard Lamey, was inducted in November 2012 and, in October 2013, the Revd. Patrick King was licensed as associate priest in the parish with primary responsibility for Woosehill. He was resident on the estate in a house bought for the purpose by the Oxford Diocese. It was the departure of Paddy in September 2016 which prompted the formation of the Staffing Consultative Group. 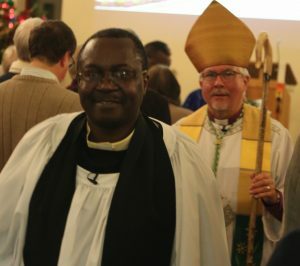 Following Paddy’s departure, the Rev’d Patrick Mukholi’s Licensing Service was conducted by Bishop Andrew (Bishop of Reading) on 5th. January, 2017. This is only a brief glimpse at the highlights of our Church history showing our commitment to the Local Ecumenical Project that is Woosehill Church.